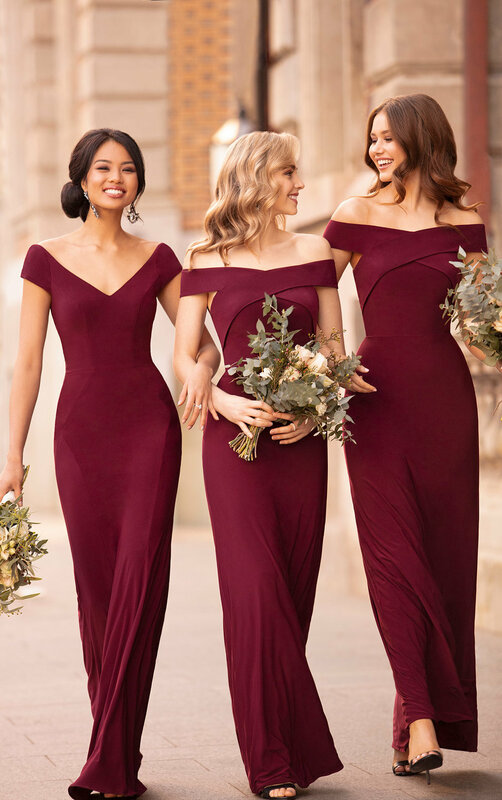 Now It's Time to Style Your Bridesmaids! YAY! Now what? Call us or fill out our Request an Appointment form to make an appointment for you and your most trusted confidants to come try on dresses, and we'll take care of the rest. If you have any pictures or boards filled with inspiration feel free to show us, we'd love to help you make your vision come to life! These are samples of the bridesmaid dress designers we carry. We have a beautiful collection of flower girl dresses for the tiniest member of your bridal party! Bring your bride tribe to try on our full collection of beautiful bridesmaid and flower girl dresses!